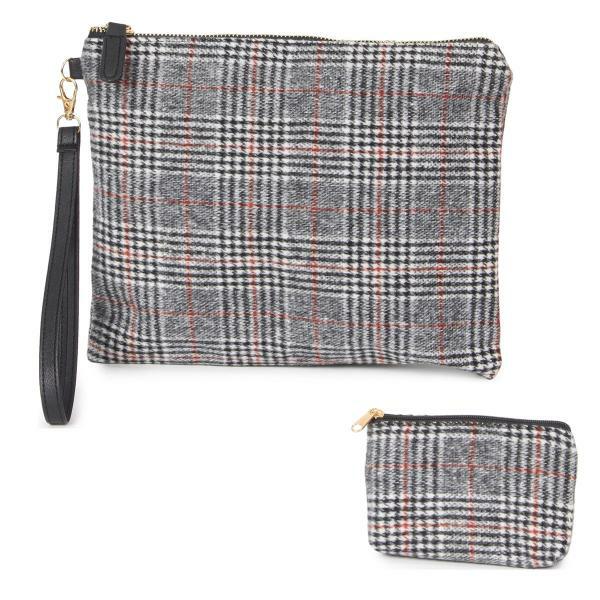 Don't like carrying a handbag? 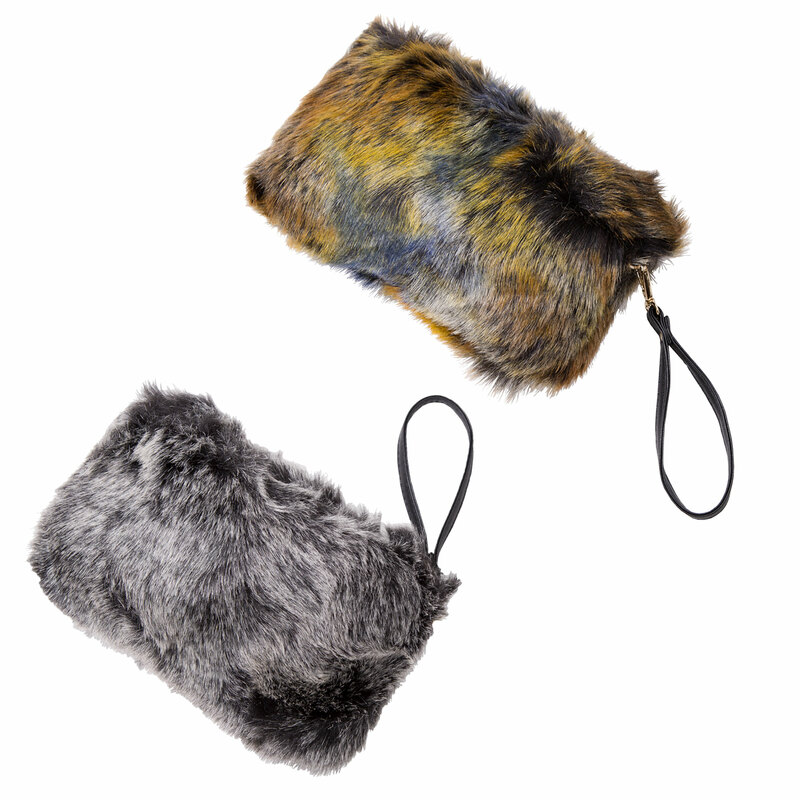 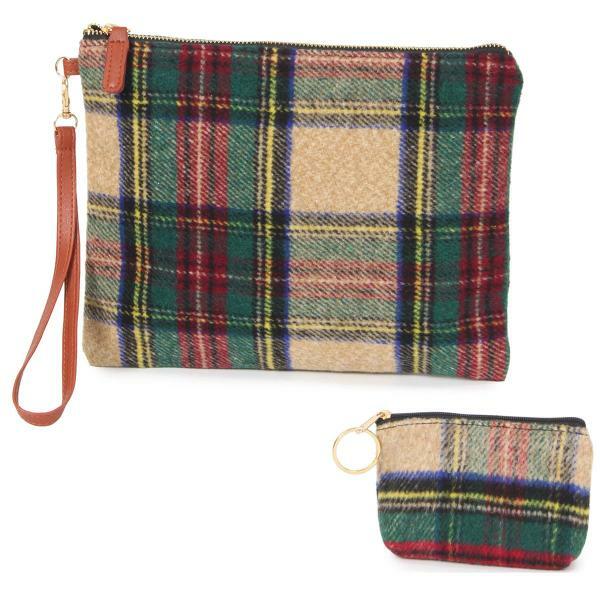 This wool feel wristlet is for you! 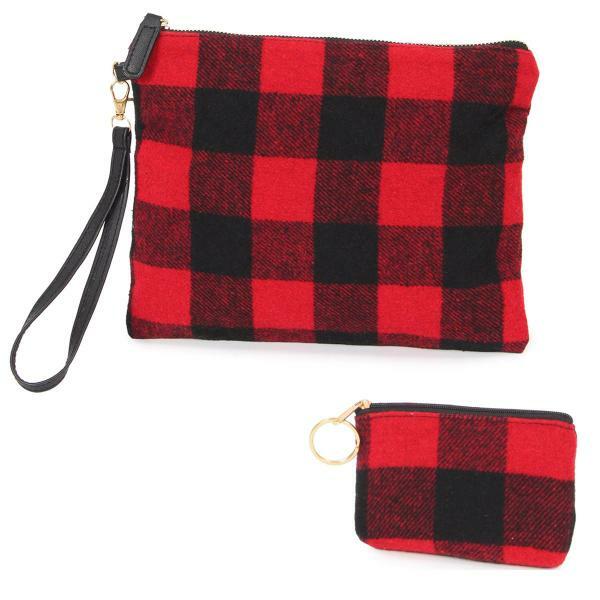 Perfectly sized to fit your Smart Phone and a few other essentials this wristlet has two convenient inside pockets and a removable wristlet style strap. 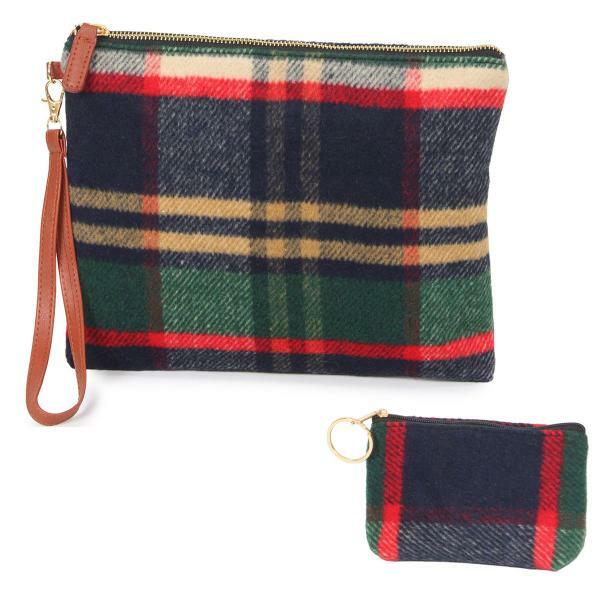 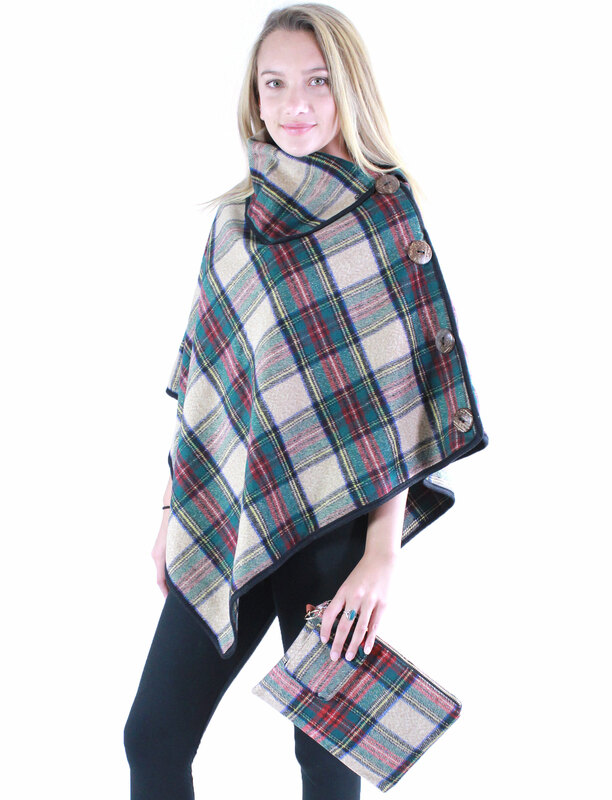 Paired with a stylish matching wool feel coin purse to hold your credit cards and ID and you're ready for a shopping trip or a night on the town, wherever the day brings you.